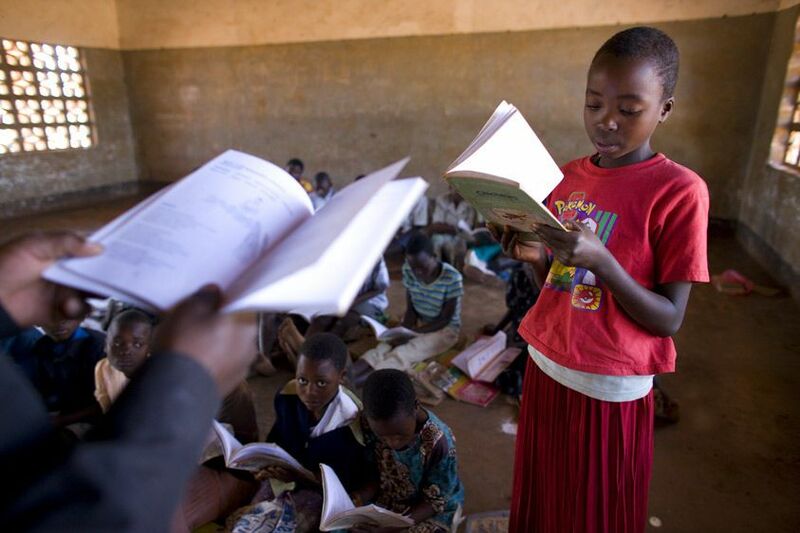 Only 34 percent of Malawi's women are literate, however, education is valued as the key to a better life. 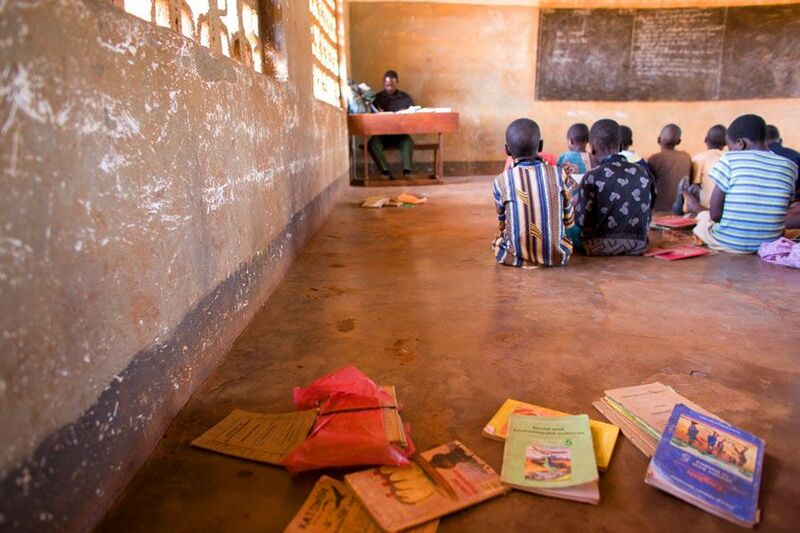 Income from VSL helps families keep children in school, instead of working alongside of their parents in the fields. The VSL program allows women to earn money needed for school supplies, books, clothing and food. 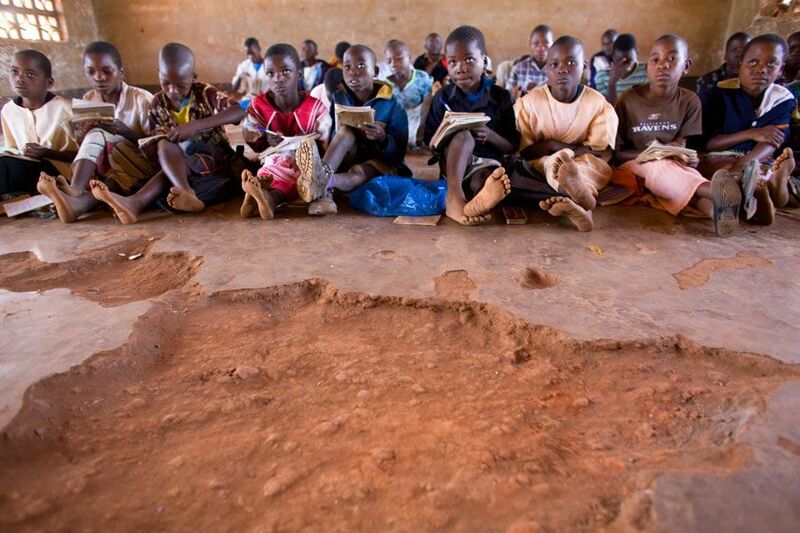 Before VSL, many children went to school hungry and worked part time with their parents. The secondary school in Kaundama village. 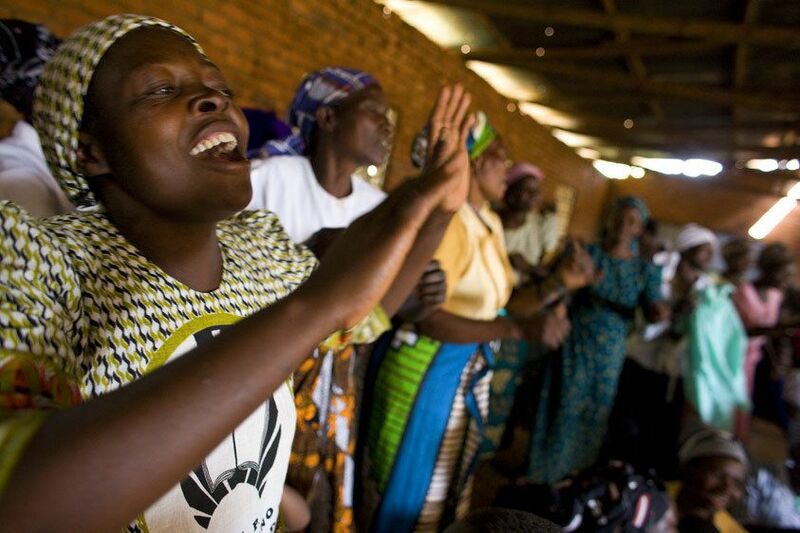 In Church, the entire community participates with song. The status of women in the community rises with participation in VSL programs. Earned income gives women influence over how family funds are allocated and equalizes their status with men. Elise's daughter Moureen, age 16. Women in the VSL program are viewed as positive role models for their children and the community. Elise works alongside her young daughter and grandchild. She hopes that the VSL program will bring a better life for her family. The Namirzi Group sings en route home from their fields. The Namirzi group shares labor in each other's fields as part of their VSL agreement. The Namirzi group shares a meal of N'sema (corn meal) and beans. The only safe water source is a communal well. As awareness about safe water increase and incomes rise, more safe water supplies may be created. A new shared chicken coop is the pride of the Namirzi group. 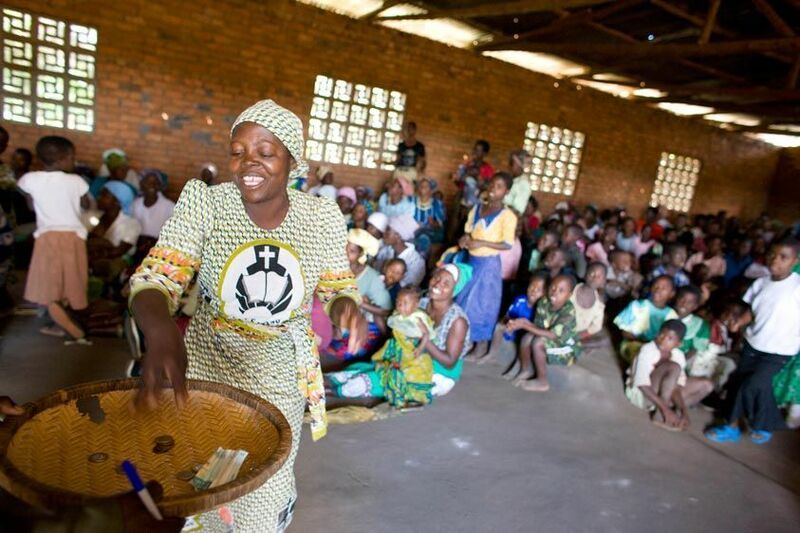 Each member contributed 3,000 Malawian Kwacha ($20). When 110,000 Kwaccha ($760) is raised, CARE will help arrange chicks, feed, and supplies for this new venture.It will provide food for their families and income from poultry and egg sales. The Namirzi group shares a meal before going out to the fields. Lucy carries water home from the communal well. Women are responsible for household needs as well as maintaining their VSL activities. Lucy chops wood for cooking and heating. Elise and a friend share a garden started with VSL funds. 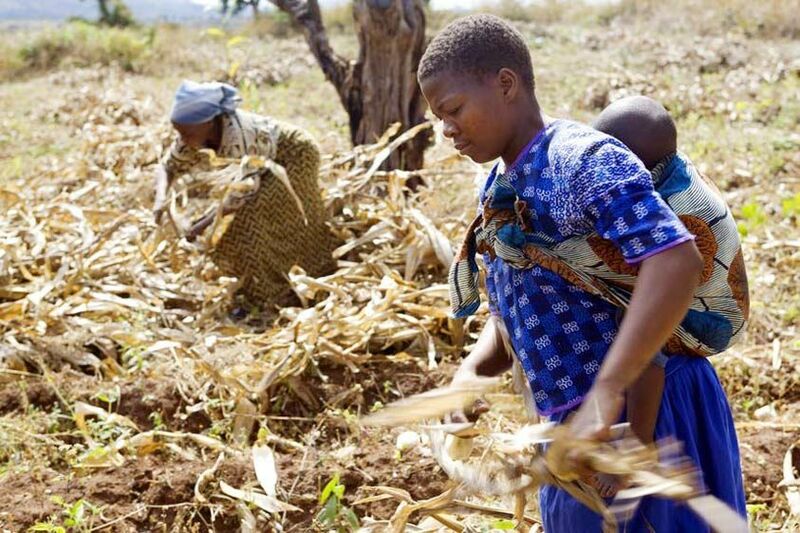 50 percent of the world's food supply is produced by women, yet they own 1 percent of the farm land. Village men fall into two catagories: Those who work and those who drink. High drinking and low employment levels dramatically affect the community's well being. Women are responsible for household needs as well as maintaining their VSL activities. Elise cares for two of her grandchildren. Before VSL, most households didn't have nutritious food and were starving, saving money to buy fertilizer to grow food. VSL money contributes to fertilizer as well as seed for more crops. An extensive checks and balances system among the women insures that the funds are safely kept and organized. A Treasurer keeps the locked money box. Three other members hold keys to the locks. Meetings start by counting the money. The secretary asks for loan payments. Savings are collected - each person has 5 shares with 10 percent interest. Loans are requested but can not exceed more than there is in savings. There are usually four plates - one for loan repayment, one for monthly savings, one for late fees and one for social welfare to help with any emergencies that may befall a family. The Namirazi group in Kaundama village ritualizes collecting funds for their VSL program with song and dance. The Village Savings and Loans program implemented by CARE International helps women organize and support small businesses. The women pool their financial resources to get started, as opposed to borrowing from an outside party like in the microfinance system.